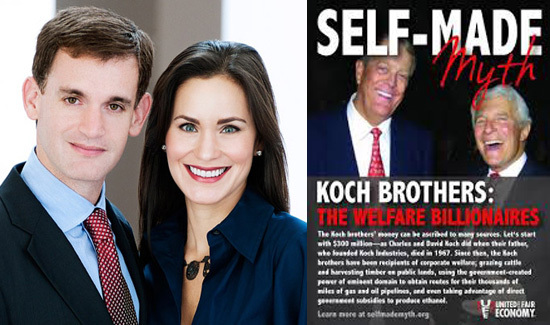 John Arnold and his wife and the infamous Koch Brothers, who have spent millions of dollars trying to steal your pension. Don’t let them get away with it. It’s no secret that there’s a relentless, well-funded attack on your pensions. The people and organizations that are determined, no matter what it takes, to get their greedy hands on your retirement funds have used every tactic in the book to reach their dream of shutting down traditional pension plans and replacing them with 401(k)s.
Since the Great Recession, 49 states have reformed pensions to make them more sustainable, increasing employee contributions and reducing benefits. Wherever one stands on the underfunding question, plenty of options short of converting pensions to 401(k)s exist, including ones that would preserve some collective shareholder voice. But these are rarely considered. Why? Well, folks, the answer is simple. The motivation is not so much that they’re worried about the fiscal health of your community and that pensions are eating away at that. What they’re really after is control of the funds, so those billions of dollars you earned under contractual agreement doing one of the toughest jobs in our society go into their pockets, not yours. We highly recommend that you read this article in its entirety. This is one of the biggest issues police unions face, and it’s a battle we have to win.